a complete list of events. 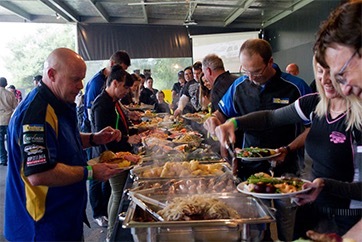 Looking for group or company activities and hospitality? click here. Standard meetings 10th Nov, 30th Dec, 03rd Jan, 26th Jan & 9th Feb.
International + Rolling Thunder meetings 01st Dec, 08th Dec, 26th Dec, 05th Jan & 2nd Mar. 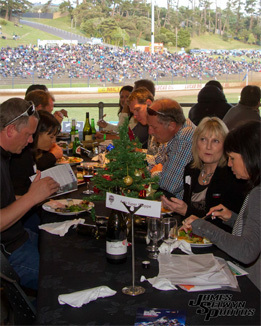 2018/2019 season is packed full of events that will bring the biggest crowds we have ever seen at the Western Springs venue – beat the crowds and buy your tickets online. Don’t miss out on the action! 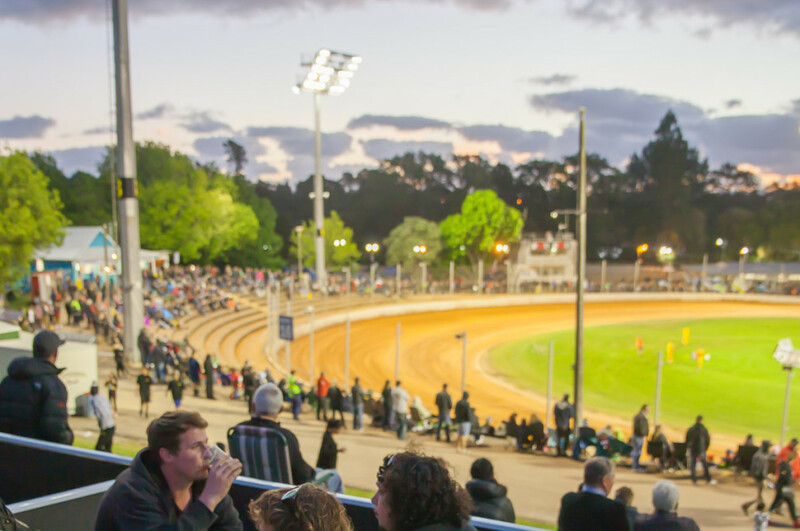 To become a Western Springs Fan Club member it will cost you $20 and $20 to renew each season. To join call Western Springs Headquarters on 09 588 4050 or email info@springspromotions.co.nz. In order to a season pass you need be a fanclub member this must be done before opening night 2018 season. For pricing and to order please call Melissa on 09 588 4050.
or call Melissa on (09) 588 4050 or email to book. If you haven't been to speedway you don't know what you’re missing! It’s great entertainment for any social group, staff function or client event. You can arrange a regular outing or a one off special event for your team. A special group or company package could include any mix of the options you’ll see with our other parties. Call Melissa on 09 588 4050 to discuss your requirements and she can provide a list of options best suited to your needs. Enquire by Email or Call us. General admission for 10 blokes/gals (Maximum of 10 per booth). The ‘Springs Girls 'will call into see how you are during the night. Excellent viewing of the racing action and the Big Screen replays. Outdoor table and chairs for you and your guests supplied. Picket fencing designates each private area. “The Stag party” burger and chips delivered to your booth for all your guests. VIP access to cash bar adjacent to the booth. "The Springs Rock Boot Party" is available on a limited number of nights scheduled at the Western Springs venue. General admission for 4 guests (to a maximum of 6 per bay). Food vouchers supplied, redeemable at the Main Blue Shop. This package is limited to 12 areas on selected nights, and on sale at $70.00 per head. The Rock, the #1 station within the Media Works stable of Auckland radio stations is partnered with Speedway to help promote the sport. Paige Wright - Station Manager said “we are very excited to be involved with Speedway at Springs Speedway Western Springs, and the boot party idea is very cool. The unobstructed views of both the Mega Screen and the racing action from the viewing balconies. VIP Parking inside the Stadium - no need to worry about the traffic (1 park per 2-3 guests, depending on availability). Complimentary copy of the ‘Official Event Program’. Entry into the VIP Legends Lounge area. Full Buffet dinner is included. The VIP Legends Lounge has a fully catered cash bar. Designated seating with views from your table setting. Limited to 200 guests per night. Book for 5 pay for 4 Special Offer. Buy 4 tickets on the same night, and get one free. The special offer is limited to the following dates only: TBC.